Finding your first job or transitioning into your next position is an important step in your professional career. 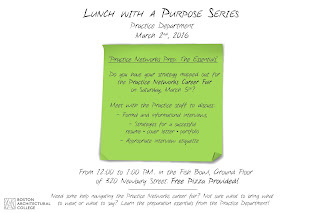 In preparation for our Practice Networks Career Fair on Saturday (3.5), do you have your strategy mapped out? 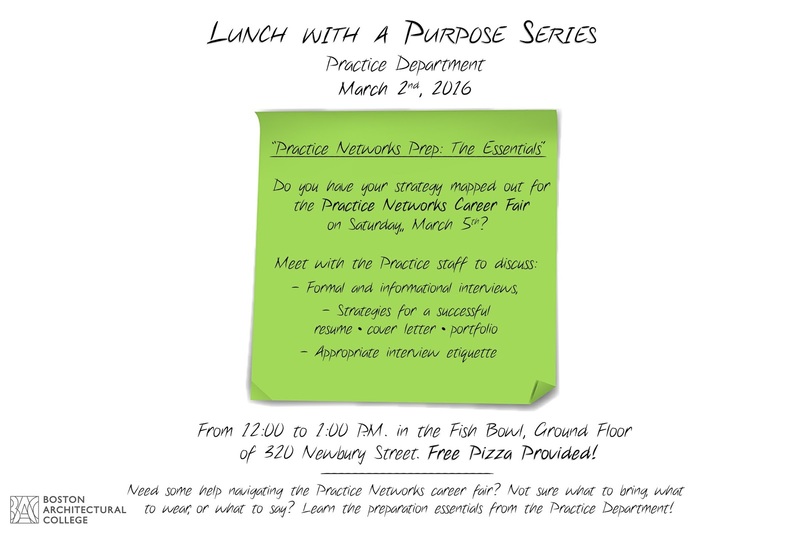 Meet with the Practice staff to discuss formal and informational interviews, protocol and strategies for a successful resume, cover letter, and portfolio and learn about appropriate interview etiquette! You will be prepared for the career fair in no time!